With a zest of music in heart from early life Diljit has made a mark in Punjabi music industry. Hearthrob of young Punjabis started his professional career in his teens and has given hits after hits in the recent past. "Ishq da Uda-Adaa" was definitely a start with a Bang and He has never looked back ever since. Soon songs like "Dil Saade naal", "Paggan pochhveeyan", "Allraahaan Kuwariyan", "Daaka" became 'Dance anthems' on dance floors worldwide. 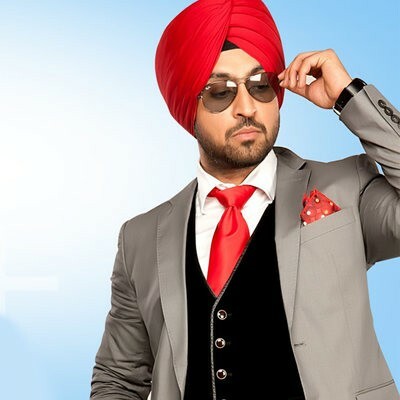 'Excitement' has always been Diljit's promise with every new album and songs like "Pannga", "LA" took fans by storm and was, definitely "The NeXt LeVel". Diljit has always treated Stumbling blocks as Stepping stones. More success has only brought more humility to this artist. No doubt his fans love him so much for that. A brief appearance in "Mel Karade Rabba" assured an another shining star in galaxy of Punjabi Cinema. Diljit once again reassured his commitment to serve masses by giving positive message to the community by presenting "The Lion of Punjab".